London’s Mayor, Boris Johson reckons we have all been infected with “Olympomania“. Meanwhile, BBC Radio Five Live asked its listeners if they had the “Olympic Tingle” – a condition named by their presenter Nicky Campbell. He wasn’t the only one – Usain Bolt said he felt a “tingle” when walking across the Olympic Park. Even if you have been living under a rock for seven years and 21 days since London was awarded “the greatest show on earth” you cannot possible have escaped the fact that today sees the opening of the London 2012 Olympics. Today will also see some of the greatest online activity for a long time. Twitter will be awash with comments about the opening ceremony, people will be chatting away on Facebook about London 2012 and Flickr will be jam-packed with pictures of the Olympic Park as more than 80,000 people descend on it this afternoon. 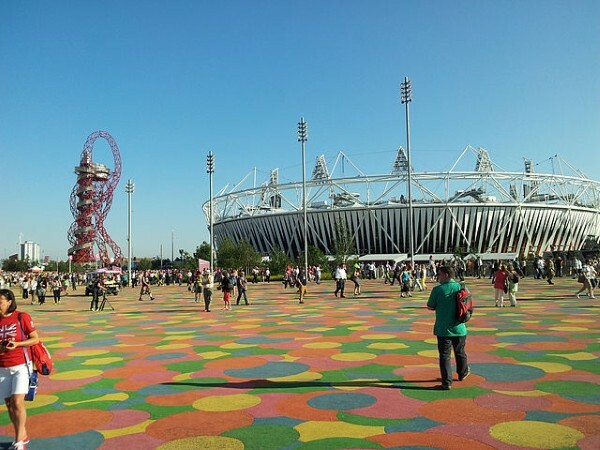 The London 2012 Olympics will be a huge test of social media infrastructure. Indeed, mobile phone companies have installed additional masts to ensure people can get online, BT Openzone has switched on more than 500,000 hotspots around London and Virgin Media have put in Wi-Fi in 80 tube stations, so people can carry on their social media activity while underground. Even if people are not actually at any of the Olympic venues, millions of us will be Tweeting while watching the events unfold on television. The BBC has set up several new channels to cover the Olympics, including a new digital radio channel and specialist web channels. Every single event will be broadcast live by the BBC – you cannot miss anything. It all means that people will be watching and using social media at the same time. This will be the first Olympics that is truly watched on two screens – one in your hand and the other in the corner of your lounge. Already 52% of all mobile phone owners use their devices to enhance their TV viewing. The Olympics is set to make that rise. For your business this is an advantage. True, you may not have the marketing power like Coca Cola or McDonalds to spend millions on TV sponsorship and advertising, but sending a Tweet is free. So you can gain visibility. Here’s how. When some TV programme is on which is aimed at your target audience, then take to the world of social media. Add comments and engage in the conversation around the programme. For example, if you are a builder why not Tweet about what is going on during one of the many TV programmes about house renovations and DIY? The people engaging in the online conversations around the programme are clearly interested in the subject, so you have a primed audience. Similarly, if you are a life coach or a sports psychologist then you really ought to be Tweeting away over the next two weeks…! What these Olympics will demonstrate is that TV is no longer a one-way medium, where the broadcasters dish out stuff to us. Now it is three-way; we can Tweet the programme makers, indeed we can influence the online content. But we can also discuss that content with each other. And therein lies the golden opportunity for business – to use TV to increase the visibility of our expertise, services and products amongst a group of people who are interested in our topics. With more than half the people watching TV also using mobile phones to engage in online conversations about what they are watching you’d be daft to miss out on aiming to win their attention. And if you do, there will be more than a medal for you; there will be business.